The time has come when you must prepare to take action. This is our loving advise to you. It is about you acting now without fail for the betterment and unity of your world which begins within. It is wise to no longer hesitate deciding NOW what your own future and thereby the future of your planet and of humanity will be, or better – should be, because you are the co-creators of your own destiny, surrendered to Divine Will. Although this is not a new idea, most of you still deny your creative powers, presuming – or rather pretending that you are mere endurers of somebody else’s destiny or what they decide what should be your future. We ask you to look inside your heart, without delay, and discover your true impulses, not those that an artificial social belief and value system has forced upon you, but those that are truly your very own and unique impulses, you are here to fulfill in this incarnation. To contribute your part, by participating in the great and beautiful human musical accord of human sanctity. You, the majority of humanity, have forgotten, who you are. Rise now, allowing in every moment the message of your heart to govern you life. Even if in the beginning this inner voice and power of knowing is weak, please follow it, test the waters and it will become stronger every day. It must happen now. And you have always known that you were destined to live an inspired and happy life from inside out, no matter what. But you despaired at one time and since believed that you have been in error and gave up. Your outer world is the mirror of that. Your doubt in love was your fall. Understand now that this was not your fault but consider it to be a test, how far you would go in your trust and self-love, how strong your love was. You did not lose, you only made experiences, to understand love better and your own Divine Self, when you consciously would return to It, knowing what Love and Self-Hood is not. Not waking up now to your true Self and Divine Authority and taking the destiny of your race and planet into your own hands, would delay your freedom to a later time, as it then would seem you still need more time to explore your prison and seeming helplessness, to experience more of lethargy and your choice to passively be governed by those with a will. You are now tested whether you want to be alive and demonstrate that life is a creative process in which you participate in unity with your creator that is your Eternal Self. This is all about the Breakthrough of the Eternal One in His own form that appeared to separate itself for a time from its Source. When the Great Moment of universal Sacred Union comes, when Source and Creation snap together in a second’s moment to truly become One – your world will turn around, changed forever, as the Great Mover resumed His governing Force in all creation, and in the consciousness of mankind. When you begin to see yourself again as a part of the Great Happening that is the Universal Consciousness, this is because you remember Yourself as a Force of Love and Joy. In this moment you no longer will allow to be held captive by limiting forces of weakness, but recognize the Divine Power that desires to become active in you. As long as you believe the whispering of the seducer that you are separate from the Whole, you have not understood Yourself. And it is actually your false identity that you must question now to awaken from your mortal dream of being merely flesh. To awaken from your false belief that you are just compressed and dense frequency and nothing more. There are so many more levels of existence that are making up your true humanness that is Mere and Unlimited Consciousness. When you are willing to re-discover them, you will take into your hands again your Divine Destiny. And like a Giant who wakes up from the dream, all chains he wore in his sleep break, to give room to infinite inspired movement and freedom. Do not despair. Because the Divine always moves to Victory, as It always Wins. We have this time given you some poetry to reach your heart so it may listen to the Eternal Song and remember. 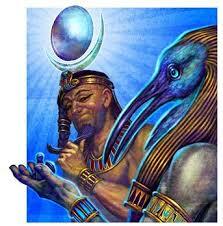 We are the Blue Avians.